Explain how the slope of a graphed line can be computed. Graph a line given an equation in either slope-intercept or point-slope form. Write an equation in slope-intercept or point-slope form given a graphed line. 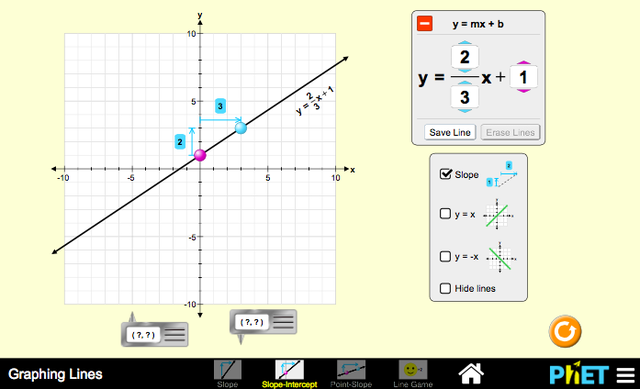 Predict how changing variables in a linear equation will affect the graphed line.